Every week we'll be asking you to come with us to some of our favorite small towns and cities—and we'll show you the places, secret spots, and nooks we love. You need a ride, baby? is a phrase that would make me turn the other way, fast, in New York. But it's Knoxville, Tennessee, and this is the question I am asked minutes after I land, by a taxi driver—a pert woman with pert hair, neon orange nails, and a blindingly pink top. Her demeanor fits right into her ensemble; she is effusive, energetic, eager, like she just reunited with a long-lost niece at a family reunion. And she is infectious: I sit in the front instead of the back, I say please after I say to the Knoxville Hilton. When she decides to tell me she likes my haircut by actually reaching out to touch it, I do not recoil to preserve my very roomy, very native-New York personal space bubble. In the first ten minutes of our ride, she tells me three stories of “city people” being swept off their feet by Southern hospitality. I realize that her brand of hospitality isn’t just real down here, it’s also a source of pride—and so I ask her everywhere I should go in the next two days. In response, she doesn’t just tell me where to go for breakfast, for barbecue, for the dying art of penny candy—she writes it all down on a map. This, combined with a slew of recommendations from our Home and Design editor Amanda Sims, who grew up in Knoxville, carries me through 48 hours with not a minute to spare. Before I get out of her minivan, she adds to my list a discount shoe store, the name of which I’ve since forgotten—though I appreciate the tip, my brain involuntarily clouds when it hears "Cole Haan bargain shopping"—and offers her personal phone number should I need anything else. Welcome to Knoxville: Aside from that elusive shoe store, here are the places to hit when you go. Head to Remedy on Jackson Ave for a pick-me-up: The cortados are excellent, the pastries are good, the seating is plentiful, and the wifi is free and fast. Walk to Just Ripe, a small market whose shelves are lined with cheeses, jams, and breads (I’ve been known to carry bread on my person, because you just never know), and where you can also get a quick sandwich, salad, or juice. On the day I was there, I was asked to taste test a biscuit with whipped cream and macerated strawberries, just because. I'm crossing my fingers you’re so lucky. Venture down to Market Square—this is downtown!—and swing by The Tomato Head for a sandwich. The local move? Get a beer—they have a great regional list—and sit outside to watch the town troubadours that tend to gather in warm weather. Amanda says: With curb appeal right out of an Edward Hopper painting, Litton’s has been around since the 40s and is worth the short drive past downtown for a burger, available with no frills or topped with a scoop of cold pimento cheese. Go to Mast General Store. Make a beeline to the back left corner: That’s where all of the giant barrels of esoteric candy are. Go wild; buy by the pound. Don’t leave without a pack of candy cigarettes and an old-fashioned soda. If you’re okay with adventuring past the city center, head to Pizza Palace Drive-In, a family-run establishment that’s been open since 1961. Whatever you do, make sure it includes a Greek salad: Owner Charlie Peroulas still makes the secret vinaigrette himself, every day. If you want to stay closer to your hotel, go to Knox Mason—the perfect place to sit at the bar with a date, your parents, or yourself for a nice meal where you can watch the chefs work in an open kitchen. Start with a Southside and the deviled eggs with Tennessee chow-chow—you can’t go wrong from there. Amanda says: After dinner, venture down Jackson Avenue, Knoxville’s newest up-and-coming neighborhood, to Barley’s Tap Room, a big brick beer hall at the end of the road. Local musicians play most nights, so bring friends to split a few made-from-scratch, blistered-crust pizza pies. Still going? Need fourth meal? You want The Knoxville Pearl, an eclectic, late-night cereal bar. We repeat: late-night cereal bar. Order the all-you-can-eat for $6.18, and fill your bowl with Cinnamon Toast Crunch while you hang on the couches in their grandmother’s basement-esque front room. First things first: Head to the farmers market—held on Saturdays in Market Square, starting at 9 A.M.—to pick up provisions for the day. Check out Blue Plate Special, a live performance radio show that happens at noon every Monday through Saturday at WDVX, the local bluegrass station, and is free to the public. If you can’t make it to the visitor’s center for a listen-in, tune your dial to 89.9 or 102.9 and stream it over the radio. 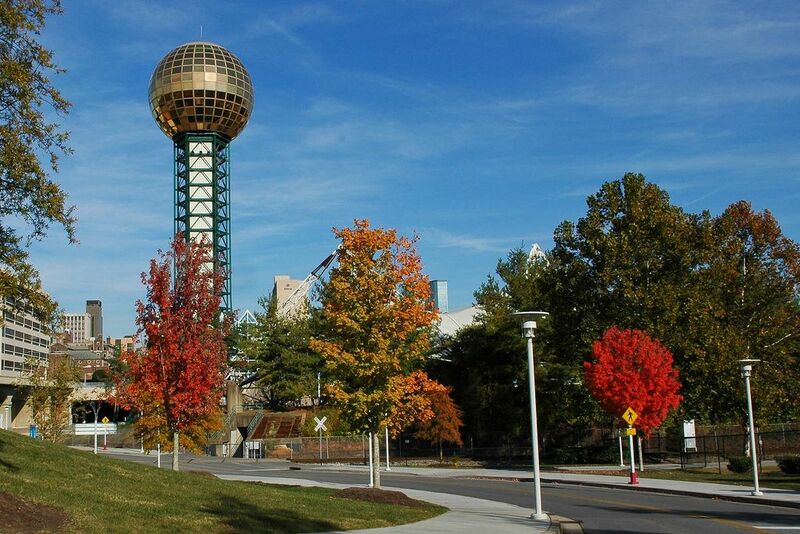 The Sunsphere, the big, shining structure on the edge of town remaining from the 1982 World's Fair, might not be a wigshop, but Knoxville is always ready for a costume party at Big Don the Costumier, a getup shop in downtown’s Old City. Peruse the incredible selection of antique costumes from all eras to rent or buy—but call before you go, as the hours vary daily. See all of our picks on the map below. 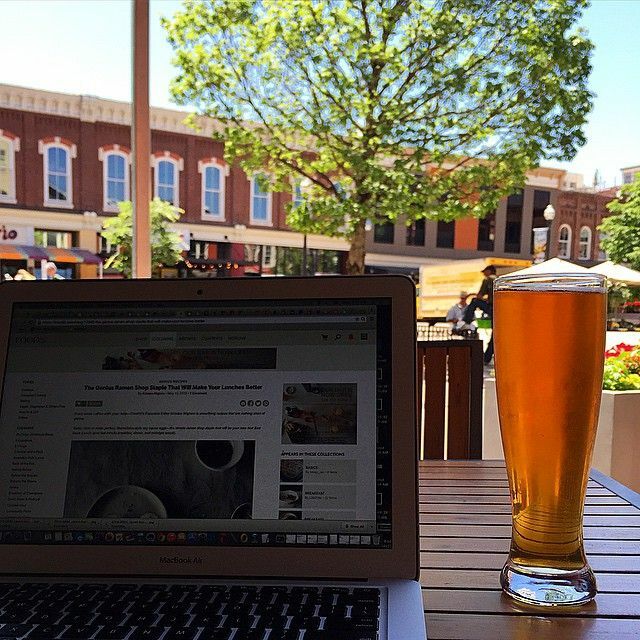 Where do you love to go in Knoxville? Leave your suggestions for us in the comments! Hi. I know this post is rather old, but I thought I would update something. Regrettably, the Knoxville Pearl has closed. Stock & Barrel is always my go-to option for a burger whenever I'm downtown. Be sure to check it out next time. Next time you're in town stop by Sapphire on Gay Street for a Signature Martini or Craft Cocktails. Pretty much Knoxville's most upscale bar and lounge built into the shell of an old jewelry store. You should go in the sunsphere. There's an observation deck and a restaurant/bar. I'd throw in Holly's 135 (135 Gay Street) in as a must-visit! Yes, If you are staying at The Blackberry Farm, an entrance is just at their back gate. Freddy and I had a great morning hike when we were guest vintners at the Blackberry Farm. Also, The Golden Roast, Awaken Coffee, Spērro, the empty cup, coffee and chocolate on market square, three bears in south Knox, wild love bake house, and the artistic bean is creating a new location in the old k brew store front. They're first store is located in Townsend, TN. Also Balter Beerworks has great food and great beer That's been brewed right there in house. Also Sweet P's has the absolute best bbq. I recommend the burrito. Favorite place today on market square is the blue coast. Their sweet tea is the best in Knoxville and their food is divine. Three-rivers market for a health store for unique items is the place to go and if you're unlucky enough to not have the opportunity to go to the farmers market you can still get some of Cruze farms famed coffee milk, which is to die for. Two places to add that always go to when I am home; Big Eds Pizza (ok, it's not quite in Knoxville but in Oak Ridge) and Buddy's BBQ. I would give the nod for BBQ to Dead End BBQ on Sutherland Avenue, although I have many happy memories of eating at Buddy's. Yep, I'd say Dead End is the way to go if you don't want to make what for me would be a boring (I've been several times) yet still delicious visit to Calhoun's. Sweet P's is decent. For beer around Market Square, there also is The Casual Pint on Union Avenue just past the Oliver Hotel; and Suttree's on Gay Street across from Mast General Store. LOUIS RESTAURANT WAS NOT MENTIONED. A RESTAURANT THAT HAS BEEN AROUND OVER 50 YRS WITH ONE SAME WAITRESS, AND AMAZING FOOD. Enjoyed your list, Kenzi, and I hope your commenters type with that charm you mentioned. Knoxville has so much to offer! Next time you visit, we'd love to take you to check out Ijams Nature Center and Sweet Pea's for barbeque, SoKno's finest! Seriously? Not a single mention of the best late night after party deli in Knoxville? Gus's Good Times Deli is THE place to be. Garth Brooks was there last night, Peyton always comes to have a Roast beef and cheddar and it's much much much cheaper than Litton's! And chock full of UT memorabilia...this list is lacking. 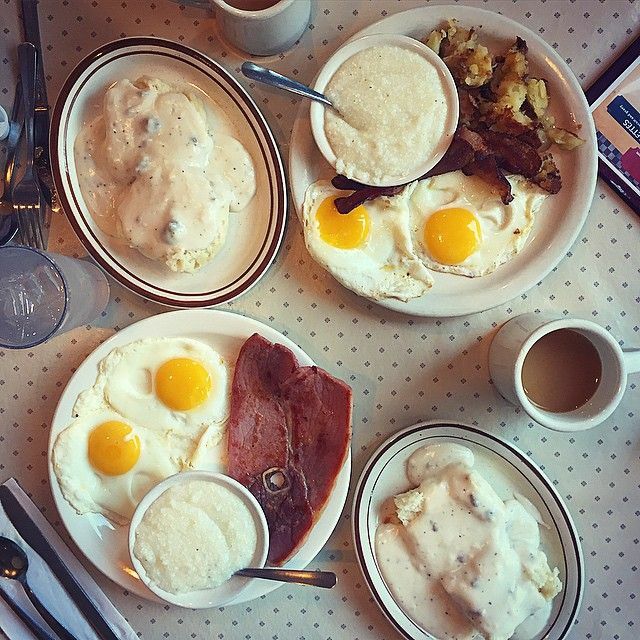 Don't miss The Plaid Apron, which is in Sequoyah Hills. A small but excellent menu. The chef is a Blackberry Farm alum, and they source their ingredients from many local farms. 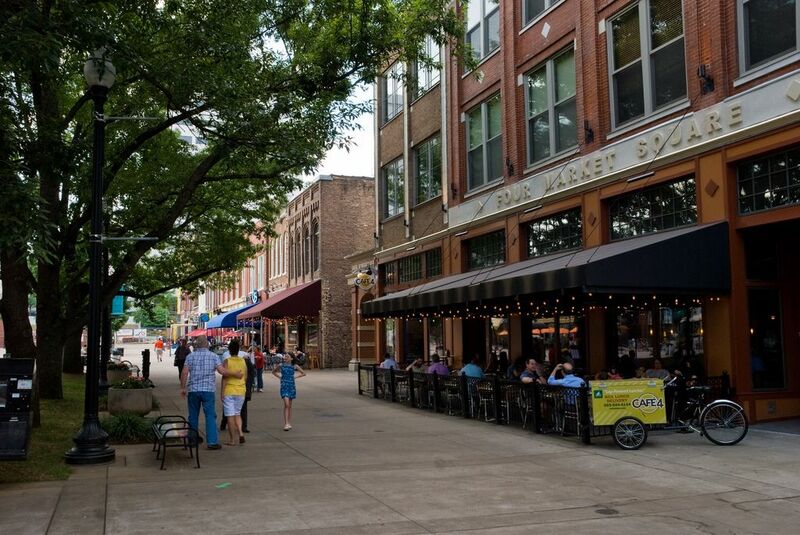 Knoxville is so much fun to show off to out-of-towners! The Blue Plate Special & the Farmers Market never fail to please. Great list! Don't forget Smoky Mountain Brewery, just up the street from Mast General store (where I head downstairs to stock up on hiking gear), and Calhoun's on the Tennessee River. Ribs, baby, ribs! BUTTERMILK SKY PIE SHOP. Yes I am shouting. I grew up in Knoxville and I have eaten a truck of pecan pies. Buttermilk's is the bomb. 5400 Kingston Pike, not far from Ham and Goody's so you can make it a 2-fer in West Knoxville. They sell out at holidays, so plan accordingly.